Hey, friends! I had no idea I wouldn't be back on my blog until it was time for another book post, but that's just this season of life. We just can't seem to get anywhere with sleep, Chris is working over 12 hours a day (including weekends), and we're moving next week. Life is good, but it's all kinds of crazy, so I haven't had the time to write or read much. I'm really hoping I can find more time to do both once the dust settles, but I'm not really pressuring myself anymore. 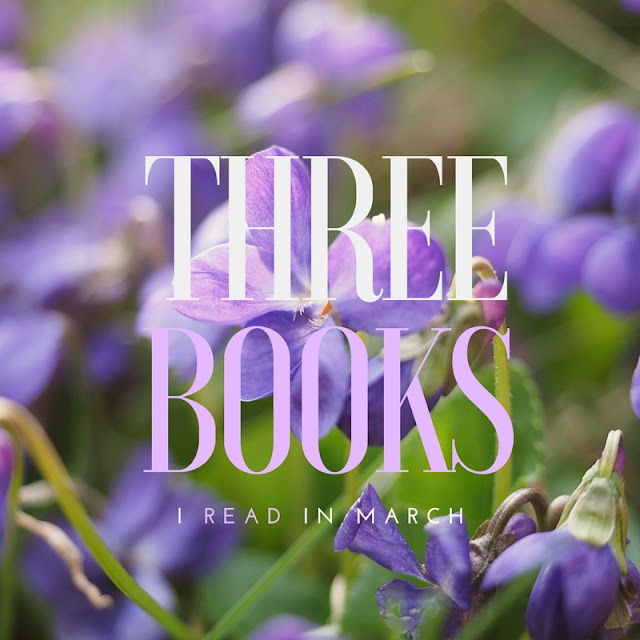 I did manage to read three books, and I liked them all, so I'm excited to share them with y'all. Gayle Forman knows how to write a beautiful story. This is a book of three teenagers who have lost their way, but their lives are changed after a chance meeting. It's heartbreaking, emotional, and the characters are so well written. If you enjoy YA, this one is worth picking up. I had a hard time getting into this book at first. Something about the writing just really bothered me. About halfway through the book, I started to really like it. I actually guessed a few of the twists (though I thought I was likely wrong, ha! ), but there were still many things that surprised me. I thought the ending was done well and interesting. 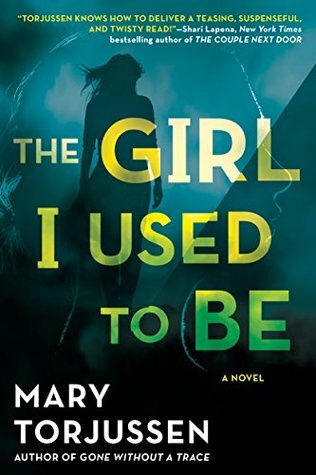 I will be reading more Mary Torjussen books in the future! Note: Can I just say it's always my reviews that say something about me disliking the author's writing that get liked by the author. I always feel a little embarrassed that I was so critical when that happens! I was in the mood for a feel-good story, and I knew what I was getting with a Viola Shipman novel. I think it's so interesting it's written by a man using his grandmother's name. This is a sweet story about generations of women who have worked hard to build up an orchard in Suttons Bay, Michigan. The story centers around the granddaughter, who is torn between baking in New York and being with her family. It does bother me that the author inserts an insane amount of random facts about Michigan into his stories (though I like some of them! ), but overall, it was exactly what I needed after reading too many thrillers and depressing stories. Haha I’m in the exact same boat as you- I haven’t posted anything in a month but I’ll be posting a book review tomorrow! Oh well life has its seasons and we can post more when we have time! The Recipe Box sounds like a really cute read, but super random about the Michigan facts. I Have Lost My Way also sounds really good too! I loved If I Stay by the same author! The Recipe Box sounds cute. Sometimes that's exactly the kind of book you need. I love a good Gayle Foreman story! Thanks for the update on your life right now. I hope the move goes well and you can start getting some sleep soon! Mostly good month for reading! Definitely don't feel bad about the lack of blogging or reading or anything!! You need to focus on keep you happy and healthy and recharged so that you can enjoy your time with Anthony and Chris! I hope this season sails by smoothly and the next one is amazing! I Have Lost My Way sounds good. I find I enjoy books a lot more when they're ones I want to read and I'm not pressuring myself. You do you and good luck with the move! Good for you to still find time to read in your crazy busy schedule!! A light book after a lot of thrillers is a welcome change of pace! I'm adding all 3 of these to my TBR list!! I feel the same way when I criticize authors too but I'm just being honest, just as you are! 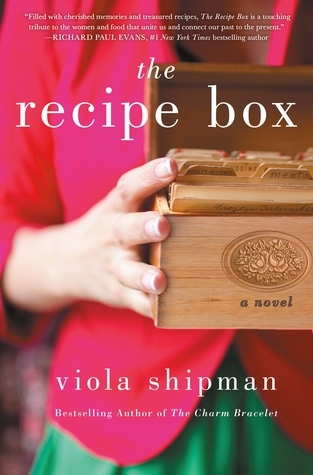 The Recipe Box is not my typical read but I'm adding it to my TBR. I need a few feel-good books in my life. Plus, they need to counterbalance all my thrillers because sometimes too many dark stories in a row can get really depressing! the Gayle Forman book is on my list. i've not read a Viola Shipman book, very interesting that it's a man writing under his grandmother's name. So interesting that the Viola Shipman book was written by a man using his grandmother's name! I've never heard of that before. Obviously I've heard of lots of women writing under men's names, but not the other way around. How interesting. I'm glad you ended up enjoying all the books you read this month! It's so tough when you have limited time to read and end up not even enjoying the books you pick up in your limited time. So yay for that! I totally hear you on the lack of time. We get a little sleep (most times), but the day starts so early and we have to go to bed so early. Greg also works 12 hours. The day is just go go all the time. The Recipe Box sounds sweet. I got a Goodreads message once from an author I reviewed and I felt terrible, because I didn't give it a good review. He was very nice, though, and said thanks! I read a lot of dark books and it's nice to read something cute and light every now and then to offset the rest. 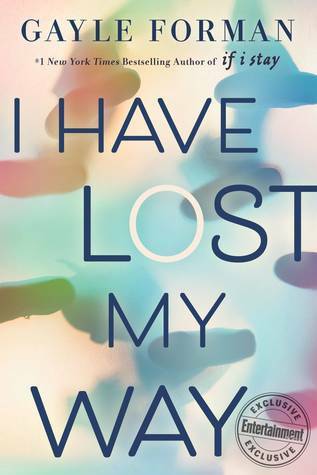 I Have Lost My Way sounds really good, and that cover is so pretty! I'm impressed you managed to read three books with all that you have going on! I agree that sometimes you need something light and easy, especially when life is kind of chaotic! I definitely prefer dark and disturbing, but once in a while I'll want a break from that. I'm glad you had such a positive reading month! Good luck with the move! I didn't know Shipman had a new book out. I really enjoyed the previous two I read. I also added the Gayle Forman book to my to read list. I've enjoyed the books that I've already read by her. The Recipe Box sounds cute, and I think I might Lost My Way too. I want to read I Have Lost My Way! I Have Lost My Way is on my list!! I'm going to add I Have Lost My Way to my to-read list!